We are starting another online petition against the implementation of an industrial Dairy Farm at Maha’ulepu. This petition will be submitted to Governor Ige, State of Hawai’i and will include your name, city and state for verification. Let your voice be heard! Just Say No to Moo Poo at Maha’ulepu! Be sure to read the FULL PETITION and LEAVE COMMENTS! Your opinion counts! We, the undersigned, call on Governor Ige and all government officials to to protect and preserve Maha’ulepu’s waters pursuant to Article 11 of the Hawaii State Constitution and the Public Trust Doctrine. It is our position that these waters do not belong to Grove Farm, as recently decided by the Hawaii State Supreme Court. 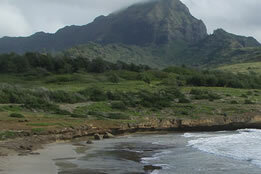 In addition we ask that you accept and protect the Native Hawaiian Historic, Cultural Practices and Archeological sites. The Waiopili, which flows over the proposed dairy site, cannot help but carry animal waste as it flows to the mouth of the Makauwahi Cave on its way to the ocean. A formal complaint has been filed by the Moku representative, Billy Kaohelauli’I, for our Kona District. We seek protection and preservation of the waters integral to Native Hawaiian customs (limu gathering, sustenance fishing and more) in Mahalulepu and care of their historic site. Maha’ulepu valley contains “waters of the United States” as defined under the Clean Water Act (“CWA”), 33 U.S.C. § 1251 et seq., and discharge into these waters is prohibited. According to the Hawaii Clean Water Branch Water Quality Map, two streams run through the middle of Maha`ulepu valley and discharge into the ocean. HDF must not be permitted to operate a dairy at Maha’ulepu.